After Berg’s partner, a black New York publisher, gives a statement to the police about being harassed by a neighbor, he is arrested. But what is the crime exactly? False Belief is the unlikely love story of two very different people trying to escape an absurd nightmare in Harlem. False Belief is the love story of a couple caught up in the gentrification of a neighborhood that is wiping out a seminal African-American cultural legacy and displacing its original residents. 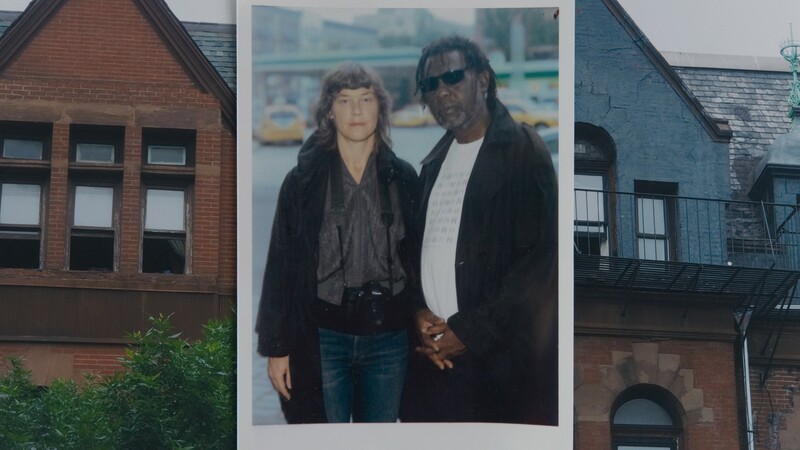 In 2008 Norwegian artist and filmmaker Lene Berg moved in with her partner, a black New York publisher, who will be referred to as D. After giving a statement to the police about being harassed by his neighbor in Harlem, D was arrested, prosecuted, and imprisoned. But for what exactly? This initiated a journey where D’s faith in the American justice system put everything he cherished in life at risk. Berg attempts to untangle the circumstances around the criminal case through D’s candid storytelling accompanied by her own narration, driven by collaged images, court documents, and still and moving images. By scrutinizing what at first seems to be an isolated minor case, False Belief uncovers the larger picture of a corrupt justice system that employs incarceration as a political and economic weapon. The film also embodies Berg’s idea of an expanded cinema in which various artistic media beyond the moving image comprise essential components in building a plot. Born in Oslo in 1965, Lene Berg studied film at Dramatiska Institutet in Stockholm. 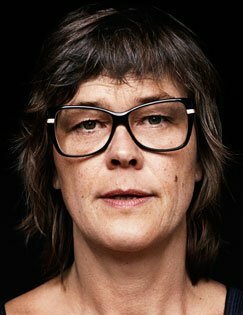 She has directed three feature length films En Kvinnas Huvud (1997), Kopfkino (2012), and GOMP: Tales of Surveillance in Norway 1948-1989 (2014) as well as more than fifteen video-projections and shorter films. Working as an artist, Berg integrates text, film and photography in her work. She explores relationships between contemporary images and inherited ideas; between facts and clichés; between structures of narration and ideology. Berg is particularly interested in what is not told and what does not fit the general picture or story. Her works have been shown at Whitechapel Gallery, London; Art in General, New York and Midway Contemporary Art, Minneapolis. She has participated in the Biennale of Sydney, Contour Mechelen, Manifesta 8 and La Biennale di Venezia . Berg lives and works in Berlin and New York.